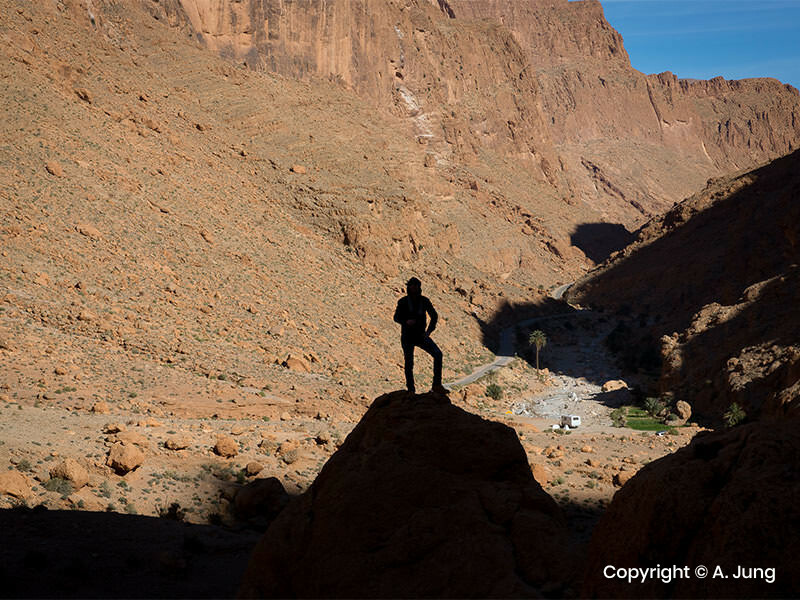 Your private tour begins with an early departure from Marrakech to Telouet through the Tizi-n-tichka mountain pass located in the Atlas Mountains. 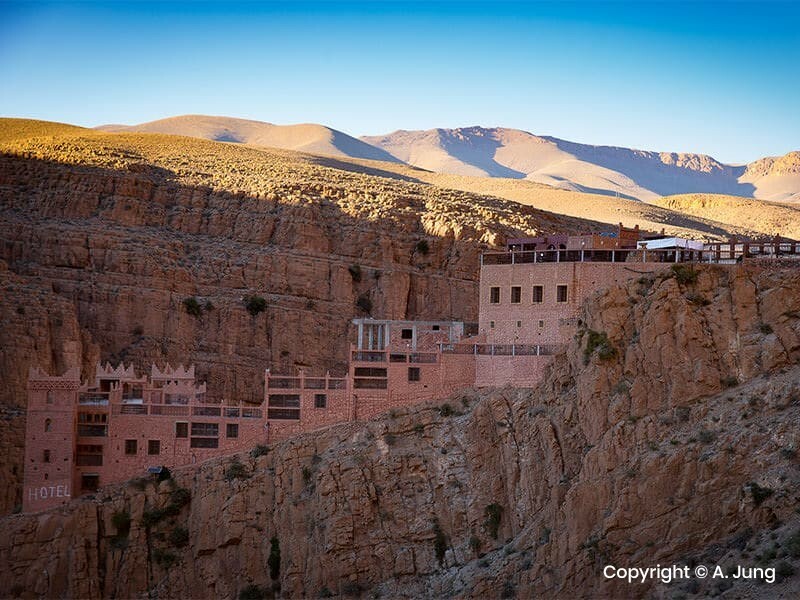 Arriving at 2,260 m, we’ll stop to visit the Kasbah of Pacha Glaoui in Telouet, and there, have lunch. Our afternoon will be spent visiting The Ait Ben-Haddou Kasbah through the Berbere villages in the Ounila valley . From there we’ll continue to Ouarzazate where we’ll be offered a complimentary dinner and spend the night at a local hotel. After a complimentary breakfast we’ll visit Skoura taking the Road of a Thousand Kasbahs (citadels), stopping to visit the Amredhyle Kasbah. We’ll then drive through The Valley of Roses, Kelaa Mgouna (The Mgouna Fortress), Boumalne then Tinghir. After this long trip we’ll have lunch at the Todra Gorge and in the afternoon we will travel to Erfoud through The Tinjdad and Tourog Palm Groves. In Erfoud we can visit a local factory which produces artisans and house decor made from fossils, there is also a local shop where you may purchase such items as souvenirs. After all that we will visit the captivating Merzouga Dunes of Erg Chebbi, where we’ll leave our 4x4 behind and carry on by camelback to admire the sunset, spending the night under Berbere bivouacs deep in the dunes. We’ll fetch an ealry morning to enjoy the perfect sunrise, then we will return by camelback to hotel in village, where we’ll have breakfast. Then we’ll leave for the Tafilalet palm groves via Rissani. Lunch will be available in Alnif, then we’ll carry on towards Tazzarine and then Zagora. Crossing the desert plateau, we pass by the village of Taftachna and Ait Ouaaziqne. Upon arrival you’ll have a chance to freshen up before dinner and a well-deserved rest at a local hotel. 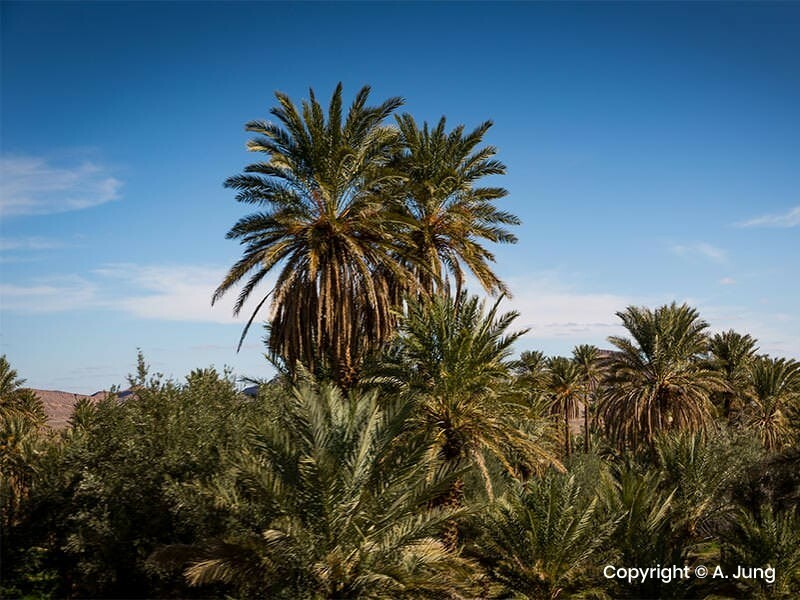 After breakfast we head to Ouarzazate via the Draa valley with its numerous palm groves and Kasbahs. We will have lunch in Ouarzazate and in the afternoon before continuing to Marrakesh via the Tizi-n- tichka pass. Check out the prices for you private tour with Holiday Tours In Morocco.